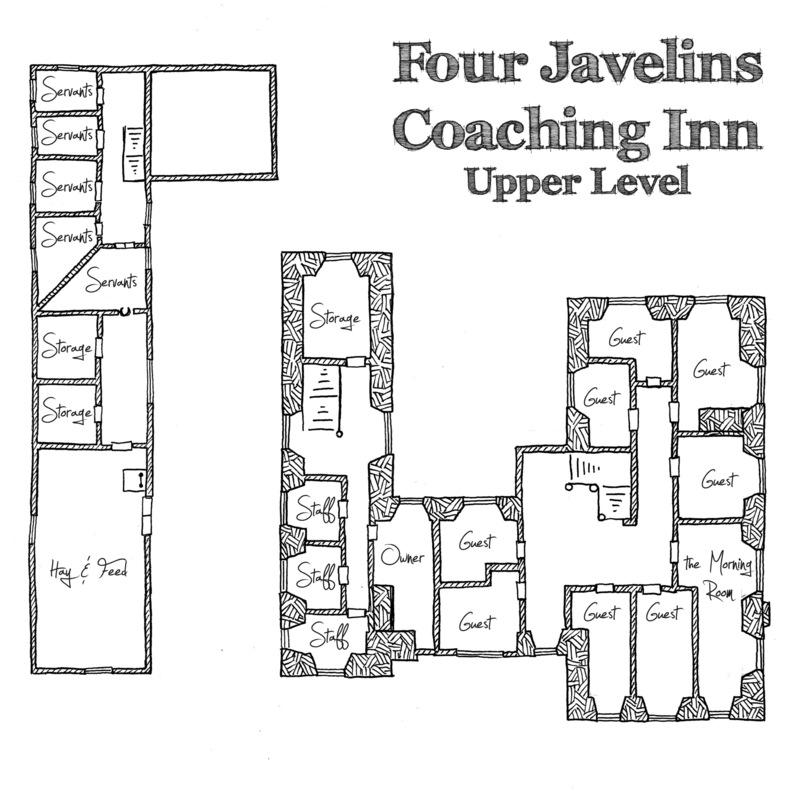 Part two of last Friday’s map, this map gives us the upper level of both buildings of the Four Javelins Coaching Inn. With eight guest rooms and a sitting room upstairs, this is an inn with a lot of room and is probably a major money maker for the owner – of course requiring that it be set somewhere that it can expect to rent out a number of these rooms most nights. The west wing of the inn houses the senior staff of the inn (and the innkeeper’s family), while the lesser staff live upstairs from the stables next door. The Four Javelins Coaching Inn was drawn first in pencil on 5-quad graph paper and then inked using a Sakura Micron 02 for the walls, and a Sakura Micron 01 for the details and hatching. 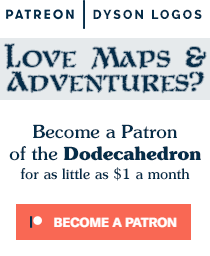 It is made available for your free non-commercial use thanks to the many awesome patrons who keep these maps flowing through my Patreon campaign. If you would prefer a version of the map without the room labels, here you go! As a footnote, at the time that you are reading this I am at my new residence and do not have internet at home yet, so responses to posts, replies and emails this week will be erratic at best.